Boise experiences just as many accidents as any other busy city throughout the world. Sometimes these accidents lead to spine injuries. Although the spine is protected by sturdy vertebrae, it can still sustain significant injuries, which can lead to paralysis and other back injuries that may change your life forever. Spine injuries can be hard to deal with for many reasons, including financial concerns. On top of the spine injury itself, you may have other damages associated with the incident that caused it, such as property damage or emotional trauma. 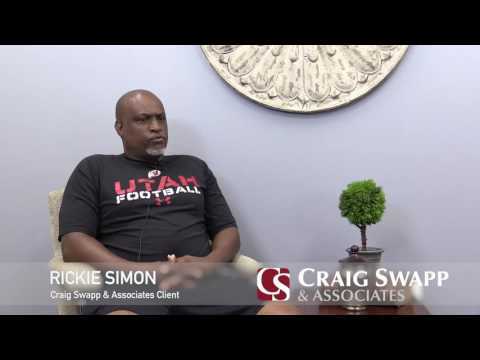 A Boise spine injury lawyer from Craig Swapp & Associates can help you deal with insurance companies, your expenses, and gathering and presenting the evidence necessary to litigate your personal injury case and seek compensation. A spine injury is not necessarily the same as a back injury. A back injury could be anything from a bruise on your back to a pulled muscle or a slipped disc. A spine injury involves the spinal cord: the communication center that links the body to the brain and enables you to move your limbs and complete various bodily functions. In any event, spine injuries can be some of the most serious types of injuries to sustain after an accident. It’s for this reason alone that it’s crucial to have an experienced Boise spine injury lawyer on your side to help determine the best way to move forward. Spine injuries often require extensive treatments that could mean complete and total bed rest or even specific activities, surgeries, and therapies. The priority after a spine injury is to follow the treatments exactly as prescribed so that you don’t risk causing more damage to your spine. In some cases, even extensive treatments will not get you back to the place you were before the injury occurred. This could mean losing your ability to work or stay in the field you were trained in. Your Boise spine injury lawyer will factor in the cost of additional schooling or training into your settlement if you need to change careers. Spine injuries are also among the most painful of injuries and can require some of the most intensive rehabilitation practices. When it is all said and done, damage to your spine can cause paralysis, limited mobility, chronic pain, and loss of sensation. You may have to completely change your lifestyle. An experienced Boise spine injury lawyer from Craig Swapp & Associates can help you seek compensation for your pain and suffering, medical expenses, and other losses. Whether your spine injury was caused by a negligent property owner, a motorcycle accident, or something else, our firm can help you determine how to proceed with your case. To arrange a time for your free consultation, complete the form below or call our office toll free at 1-800-404-9000. We can help you get your life back on track.